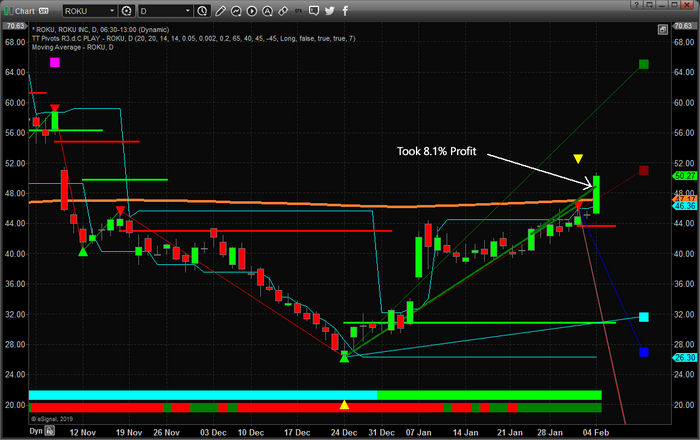 Today, we are sharing two recent trades we executed with our members that resulted in some decent profits. 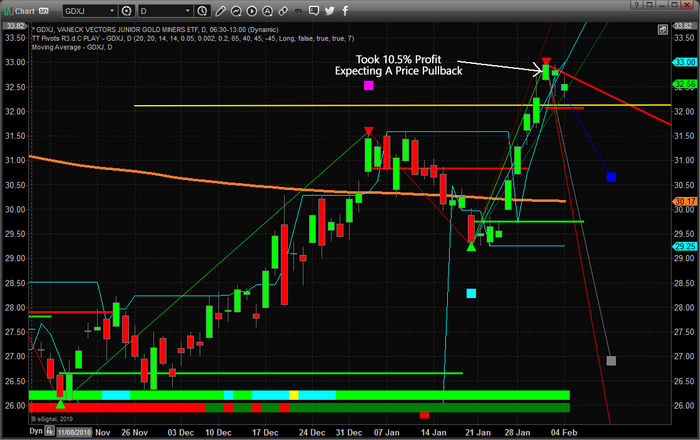 The first example is our GDXJ trade. We had been in a Long position since before the beginning of 2019 expecting Gold and Miners to rally. Our price modeling systems suggested that after price reached $1300, we may experience a brief price pause over the next 45 days or so. Thus, we pulled the profits in this trade recently to lock in 10.5% profit and to allow us to re-enter when our modeling systems suggest the price pullback has ended. - Our Daily Market Video, which is typically under 10 minutes in length, covers all of the major markets, most commodities, the US Dollar, Bitcoin and many other elements of the markets. - Combine this video content with our detailed market research posts, which you can read by visiting www.TheTechnicalTraders.com/FreeResearch/, allows our members to not only learn from our video content but also to begin to understand and formulate their own conclusions based on our content. - Lastly, we add our trading trigger/alerts feature to alert our members to superior trading setups that we find while running our proprietary trading models. We don’t post 40 trades a day hoping our members will find one or two they can make profits from. We are highly selective in our posts and attempt to only post the best opportunities for success.